A capital gain or capital loss on an asset is the difference between what it cost you and what you receive when you dispose of it. You pay tax on your capital gains. 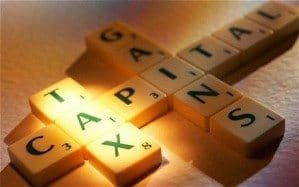 It forms part of your income tax and is not considered a separate tax – though it’s referred to as capital gains tax (CGT). If you make a capital loss, you can’t claim it against income but you can use it to reduce a capital gain in the same income year. And if your capital losses exceed your capital gains in an income year, you can generally carry the loss forward and deduct it against capital gains in future years. Most personal assets are exempt from CGT, including your home, car, and most personal use assets, such as furniture. CGT also doesn’t apply to depreciating assets used solely for taxable purposes, such as business equipment or fittings in a rental property.